At Inspira Group, we're people who are passionate about delivering an extraordinary experience to their clients. Meet the Inspira Team that goes the extra mile every day to deliver the Inspira Difference. Bob is highly successful in the real estate industry. He has helped people buy, sell and finance homes for over 20 years. His passion for assisting others and providing the ultimate in customer care throughout the loan, real estate buying and selling process has earned him over a 90% referral and repeat client base. Referrals are how Bob measures his success. His commitment and dedication to clients, employees, agents and his family are unsurpassed. He has an MBA in finance from New York University and a Bachelor's degree in Psychology. Bob lives in Laguna Niguel with his wife Kei and dog Sachi. Kei’s goal is to provide professional, honest and courteous service when assisting others in their home and loan purchase. 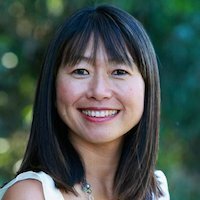 Kei has been in the real estate and mortgage industry for the past 15 years. 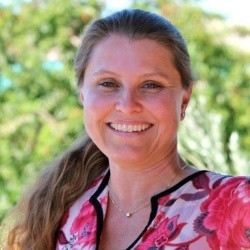 Her helpful, caring and friendly demeanor comes from a previous career as a Nurse Practitioner and from obtaining a Master's degree in Clinical Psychology. Kei lives in Laguna Niguel with her husband Bob and dog Sachi. Their daughter Julie graduated from the University of California, San Diego and currently works in Human Resources. Their son David graduated from Cal Poly San Luis Obispo and is working in Finance. 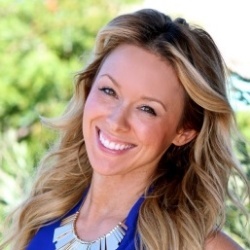 Jessica is a focused real estate professional with over 13 years of mortgage and real estate industry knowledge. She has a diverse background in real estate transactions, loan processing, mortgage broker/banking and escrow services. She is an exceptional leader, results driven, and dedicated to assuring that every client has an excellent Inspira experience. Jessica has a strong passion for helping others. She completed the Challenge Walk MS, a 50-mile walk, to raise funds for MS research. 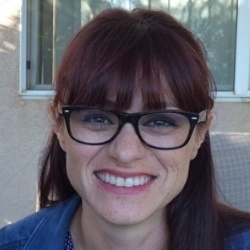 Jessica lives in Laguna Hills with her husband, Kyle, and two daughters, Skylar and Sydni. Katrina fits perfectly with the culture at Inspira Group. She has found her passion in real estate and loves helping our clients buy, sell, and finance their homes. 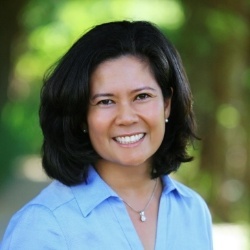 Her roles range from escrow, transaction coordination, marketing, and other office administrative tasks. We think of her as Inspira's Concierge. Katrina has a strong work ethic, great leadership skills, is very personable and solutions based. When she is not spending time with her daughter, Gwen, she is vigorously training for fitness competitions, traveling and serving her community. Nichole is a Loan Processor who has over 15 years of experience in the Real Estate Industry. Her ambition to succeed, and motivation to help others has allowed her to thrive in this business. In addition, her strong work ethic and time management demonstrate her desire to give her clients the very best assistance. She received her Real Estate license in 2006. She lives in Orange County with her husband, three kids and two dogs. On weekends she is on a baseball field, soccer field or football field supporting her children. Nichole's commitment to her children reflects her commitment to her clients. 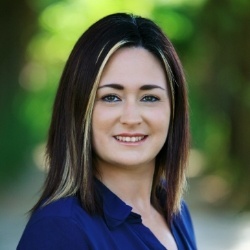 Katie is the newest member of Inspira Group, Inc. She has over 10 years of bookkeeping and administrative experience. She is a Californian native with a passion for running. She participates in marathons including the LA Marathon, San Francisco Half Marathon and Ragnar Relay. When she is not working or running marathons, she stays quite busy with her three active boys Dien, Spencer and Lincoln. Annaliza grew up in Orange County and witnessed it grow into the third largest county in California. 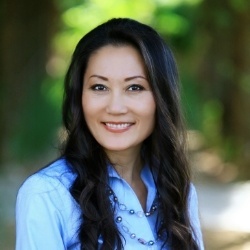 She first worked in Real Estate industry as a bookkeeper and loan processor while studying for her degree at Cal State Fullerton. She continued her career as a Certified Public Accountant working for a Big 4 firm in Orange County as an auditor and later worked in the private sector. Annaliza returns back to the Real Estate industry as a Lending Consultant and Broker Associate to assist clients in making buying, selling and financing real estate with the finest personal professional service possible. In her spare time, she loves to golf, watch movies and travel. 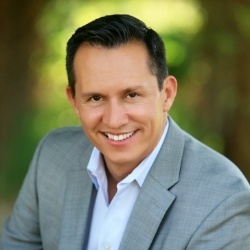 Omar Castro is a Broker Associate. Omar’s goal is simple…to help you and your family, reach yours! Through careful planning and implementation, Sellers are assisted from preparing to list your home, including strategies for maximizing your sale, to closing. Buyers are assisted from loan Pre-Approval to finding the best home and negotiating the best price. Borrowers are assisted in determining the best loan to meet their financial goals. Omar has been in the Real Estate profession for over 15 years. He is passionate about his wife Tracy and their 3 beautiful children. 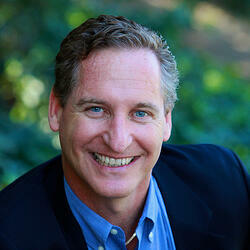 David, a Broker Associate, has been involved in the real estate industry since 1987. His unique knowledge base goes beyond an “average Realtors understanding. David utilizes the insights and techniques he gained while working in the sales and marketing departments for leading homebuilders to assist you in the purchase or sale of your home. Additional work in the lending arena has provided David with the ability to determine effective financing to ensure the completion of your real estate transaction. Carl helps people realize the dream of home ownership since 1990. As a California native, Carl recognizes the importance of providing quality real estate and lending services. He know s that people trust him with one of their biggest financial decisions and they want honest service that exceed expectations. Dedication to family and the community are the corner stones of Carl's beliefs. In addition to providing real estate and lending services, he serves his local community as a Battalion Chief for the Fire Department. Carl sees the natural connection between real estate and firefighting. He observes that people are under a lot of stress and need guidance from an experienced professional. With the help of his loving wife and two children, Carl is able to provide "people first" services that are unparalleled in the industry. Carol has been in the mortgage industry for over 10 years, primarily in the capacity of a Loan Processor. Her desire to help others, along with her excellent problem solving skills has helped her excel in this area of mortgage lending. She is a licensed Mortgage Broker and has chosen Inspira Group because "of Inspira's integrity, sound ethics and strong lender relationships." She studied at Cal State Long Beach where she earned her degree in Physical Therapy. Coming from the medical profession, she carries that same desire to help people into this industry of finance. Carol lives in Orange with her husband Brett and their 3 big dogs. Every weekend opportunity, you can find her engaged in variety of sports activities such as surfing, wake & snow boarding and hiking. 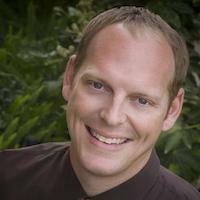 Jason is a California licensed Mortgage & Real Estate Consultant, and he has worked in the mortgage industry since 2005. Prior to joining this industry, he was on Active Duty in the USAF stationed overseas. He graduated from California State University Fullerton, majoring in Business with an emphasis in Economics. He and his wife Bethany are active in their Brea Community. He has five boys including twins and enjoys playing sports with them. His passion is playing golf and running in Half Marathons. Jason is committed to his clients and strives to assist them with all of their financing goals.